Newport's culinary event of the year is back. Enjoy lunch & dinner at many of Newport's fantastic restaurants at exclusive, fixed prices. Three course prix-fixe lunches are just $16 while dinner is only $35. Newport Restaurant Week start is April 1st through April 10th. If you were still debating whether or not to visit Newport, this should certainly aid in making that decision. The options are endless and with over 40 restaurants participating, you may just find it too hard to choose. 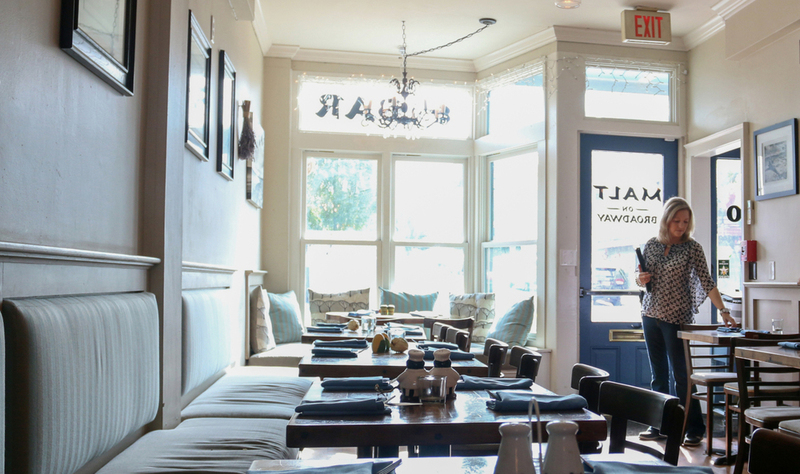 That's why we narrowed it down for you by choosing five of our favorite restaurants below to visit for Newport Restaurant Week. 2. Lunch at The Black Pearl: No trip to Newport is complete without signature New England Clam Chowder. The Black Pearl serves up the best clam chowder in all of Newport. 3. Lunch at Midtown Oyster Bar: In the heart of downtown Newport, Midtown Oyster Bar is known for its famous "Mini Raw Bar Platter". This restaurant offers 2 bar areas on two different floors with an outdoor deck. 4. Malt On Broadway for dinner: A more casual offering, Malt is known for Thai Shrimp Nachos. The cuisine is influenced by newer aged American cooking styles. 5. 22 Bowens for dinner: Located right on Newport's famous waterfront at Bowen's Wharf, this restaurant is know for its prime steaks. Before your meal, go for a leisurely stroll and watch the sunset over Newport.